Finally joining the club. '04 MSM - Miata Turbo Forum - Boost cars, acquire cats. 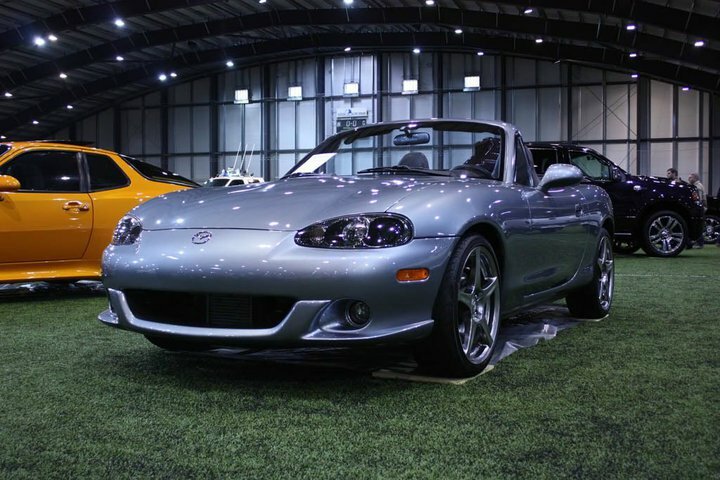 On monday I'll be the proud owner of a '04 mazdaspeed miata. Convertible with the glass window and heater. Manual boost controller and a boost gauge in the vent to the far left. Once I get my hands on it I'll snap some better pics. My plan to begin with is to get a MS, bigger fuel pump and injectors, electric boost controller, exhaust and intake. Once I've gotten used to the standalone and tuning it lightly I'll try to figure out which turbo to use to get to around 300hp. I don't think I'd need any more than that. Last edited by G3ML1NGZ; 01-12-2013 at 05:40 PM. I looked at one of these with 40K miles on it recently, very very nice car. I'd look into 3.363 gears though, and a rollbar. Welcome. yeah. I'll find a hardtop and a rollbar soon. Once I hit higher boost I'll start worrying about higher gears. Beautiful car, exactly how I'd want one if I got one. Shooting for 300 whp or crank? You'll need to beef up the rods to get 300wheel. I think this is the first MSM post that hasn't been hated on I've seen... LOL. Yup, Anything over 250NM of torque calls for new rods, I'll most likely upgrade pistons too while I'm at it once I've figured out how to tune on the fuel here. we don't have much or any high octane, which will have effect on my piston choice. 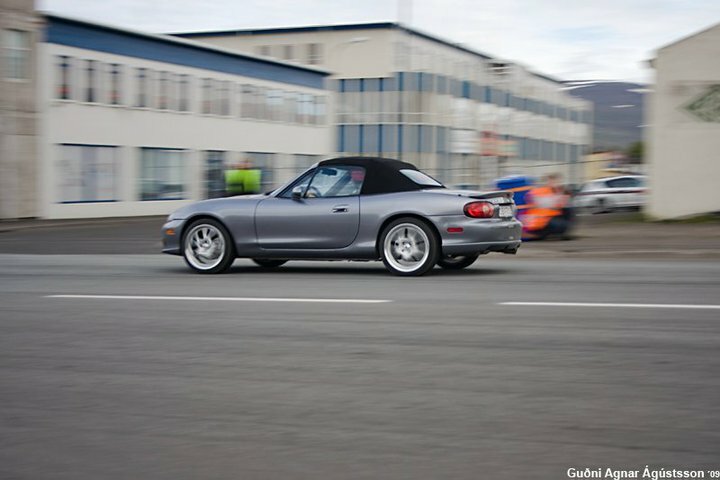 Did I mention that this is the only mazdaspeed miata in Iceland? I've been here for a little while. I know not to talk out of my *** and then everything should be ok. Read, search and then post. Nice car! Sounds like we have somewhat similar plans. Congrats. I like the red stitching, always bothered me the orang and black ones had silver stitching. Congrats, I'd still like to get my hands on a MSM someday!